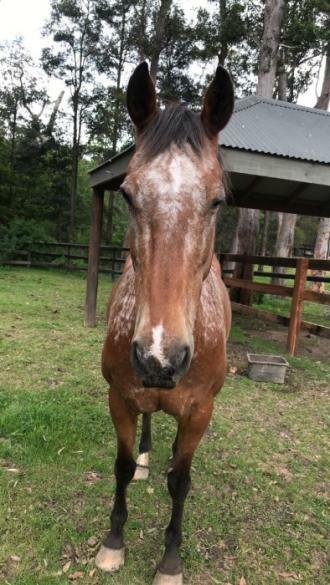 "Flicka", a beautiful appaloosa x Tb mare, who is a young and spirited 15 y/o, standing at around 15hh, has been the perfect first horse for me. She was sold to me around 2 years ago, as a confidence builder and a horse who would teach me the ropes. 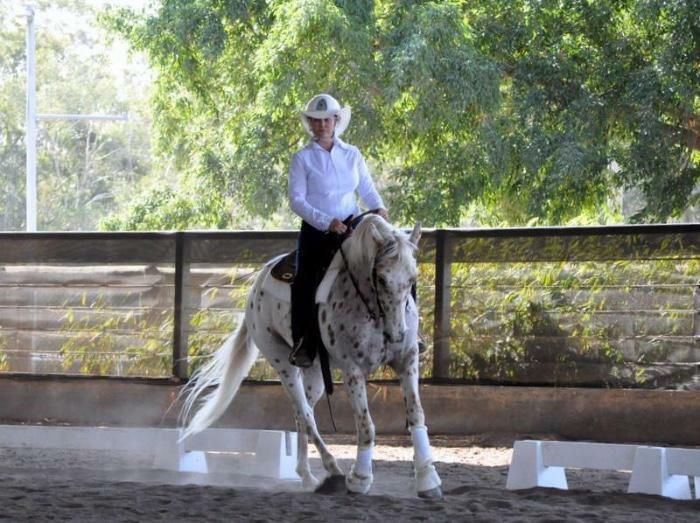 She has taken me from a nervous rider, who didn't understand many of the important foundations of riding, to being a confident rider who is now looking for a more competitive mount. Flicka has been ridden on and off the property (at least once a week), solo or in groups and is not phased. I regularly take her on as many new trails as I can find, and can completely trust her. She is honestly a been there done that horse. 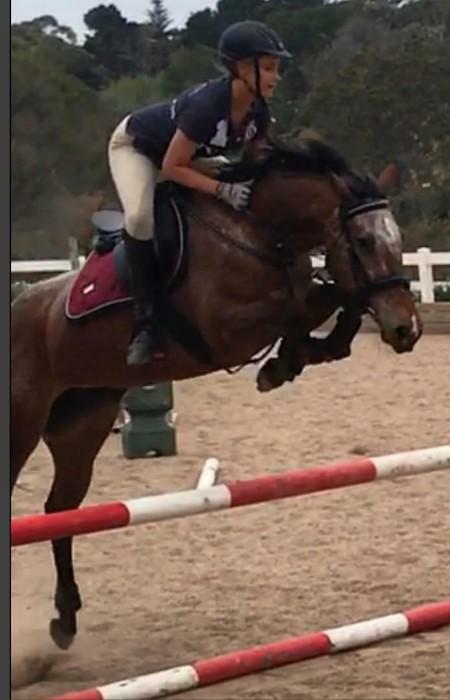 I have only taken her to one competition but also a few jump clinics! 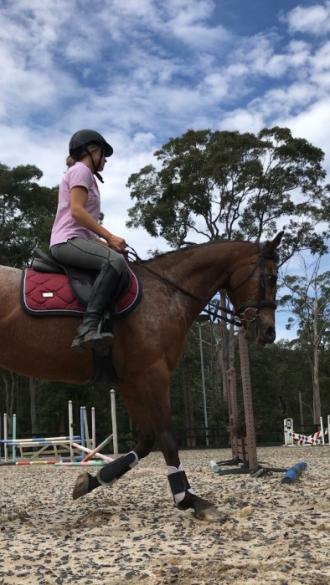 Flicka is very willing in the arena as well, and will always happily work on her flatwork, as well as jumping occasionally. I broke my hand so we haven't jumped in a while (5 weeks) although, she is a horse that you can leave forever and then just jump right on and have a brilliant ride. She had previous issues with her front feet, although that was because she wasn't shod correctly, and now she is as happy as can be with all 4 shoes on. She has been a treat to have on the property and loves attention from other horses. She has regularly been kept in a herd, although she loves to be the boss! 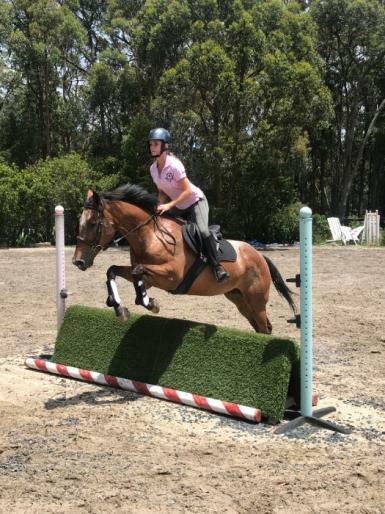 In saying how trustworthy and lovely this mare is, I believe she requires a confident rider to get the best out of her, although I have put complete beginners on her. She is sensitive and gets a little nervous as new places, but I was a complete beginner when i bought her and she was easy to manage. She has been so instrumental to my development as a rider. She is located in Duffys Forest, and I welcome test rides. Please text me on 0426476204, and I will try to call you back ASAP. 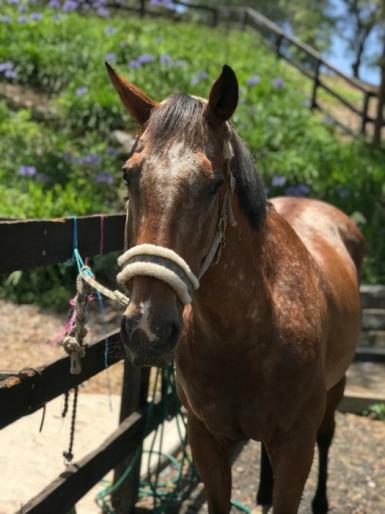 The price for this horse will be $3000,I am negotiable ifIi believe she will be going to the right home, one that will love and care for her just as i have.